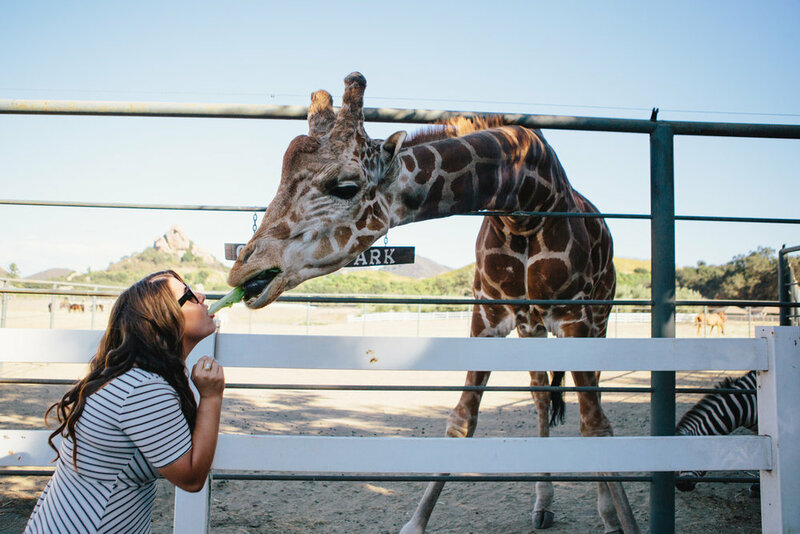 Jen and Devin love candids, wine and Stanley the giraffe! 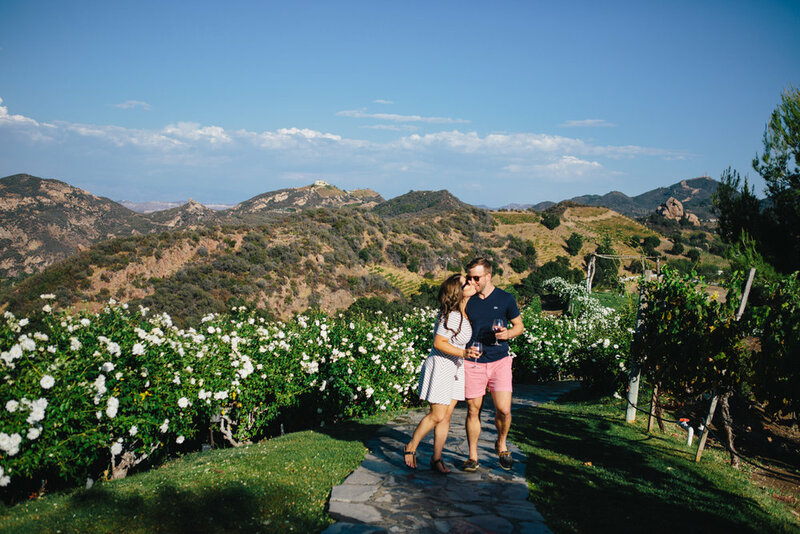 Together they came up with the idea to do their engagement session in a candid style fashion while having some fun petting the animals and getting the tour around Saddlerock Ranch in Malibu. This is accessible by private tour only.